Light pink chiffon blouse top fully embellished with beautiful floral and diamond illusions work. Tassels detailing on hemline and sleeve cuffs. Boat neck has intricate work on edges. 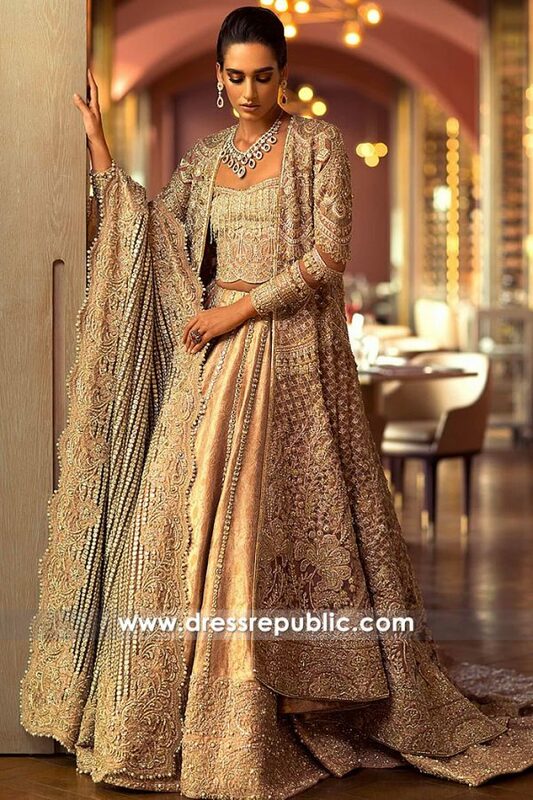 Crepe silk fishtail lehenga skirt has coordinating work all over. Scalloped hemline. Add chiffon bridal dupatta with 3 inch wide floral border, sequins and pearls shower in the middle along intricate motifs for $400.